Micromolding is a general term we use to describe the production of small parts with extreme precision. The micro-molded parts that Romar manufactures are commonly measured in microns. The key to micromolding success is highly precise tooling. Cyrus Technology in Singapore builds this tooling for us. They have in-house expertise in precision mould design and fabrication. They continue to evolve their technology and innovate in this area. Romar has the latest micromolding facilities both in Sydney and Singapore. We use only the latest technology in both locations. 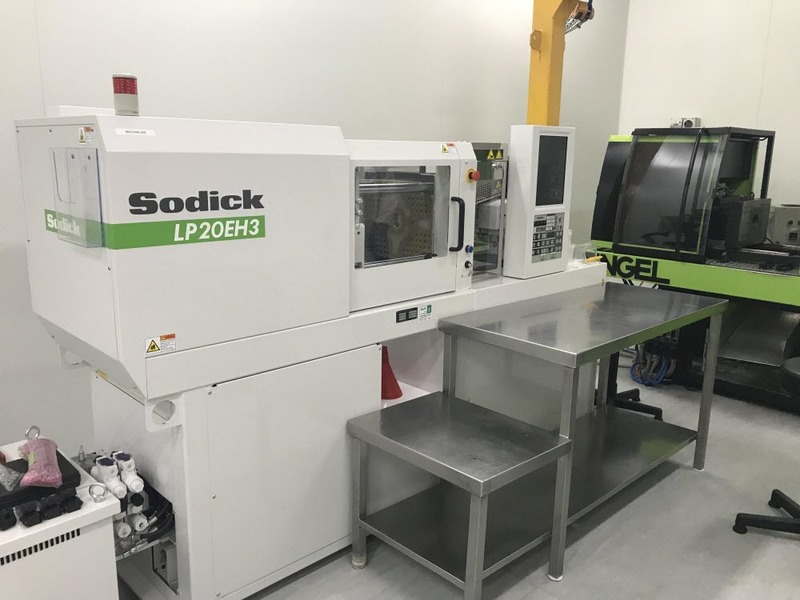 In 2018, we bought new Sodick ultra-precision injection molding machines. Both locations also have state of the art white and clean room environments. 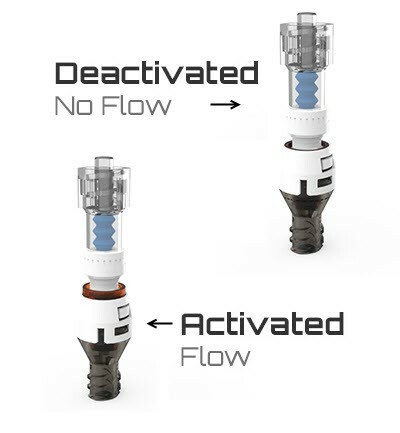 Q-Flo is an ingenious “Luer-Lok” design which goes at the end of a medical syringe. In a hospital environment, nurses and doctors often carry around valuable medicine in a syringe. Q-Flo locks off the syringe contents until they are ready for use. 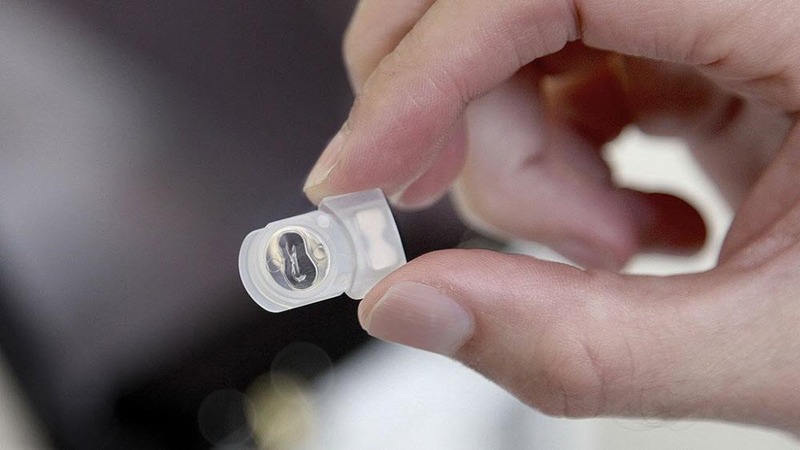 This new device allows for the safe carriage of medicine around a hospital. 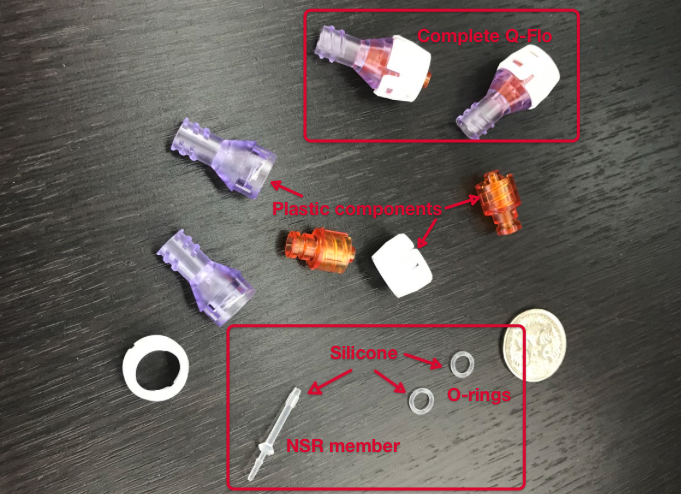 An important component of Q-Flo is the ‘NSR member’. The image below shows the NSR member under a microscope. Its tiny micromolded components are not visible to the naked eye however under a microscope the tiny fins on one end are visible. The production of this micromolded compomust be highly accurate to ensure the Q-Flo functions correctly. Romar manufactures a pod to store frozen embryos for a client in Sydney. The client uses these silicone molded pods during the IVF process. 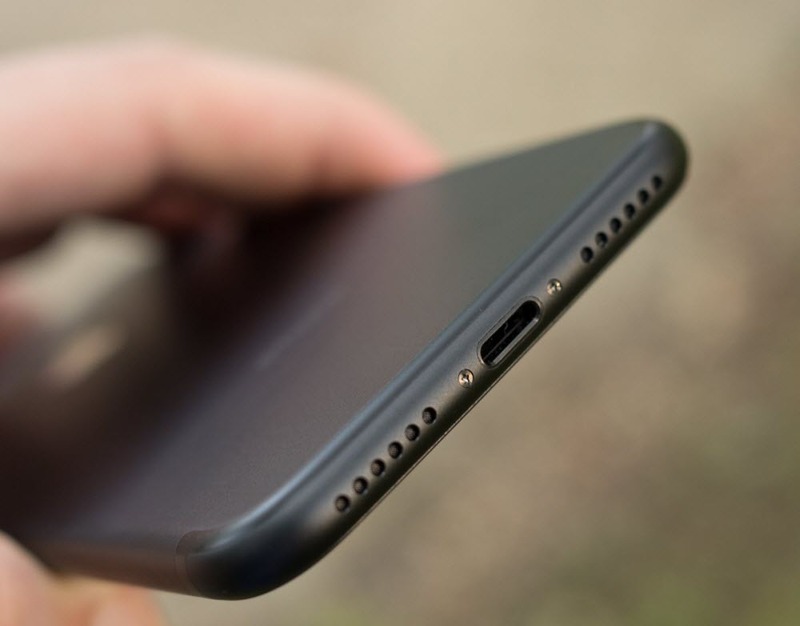 You can also find micromolding in everyday products such as smartphones. 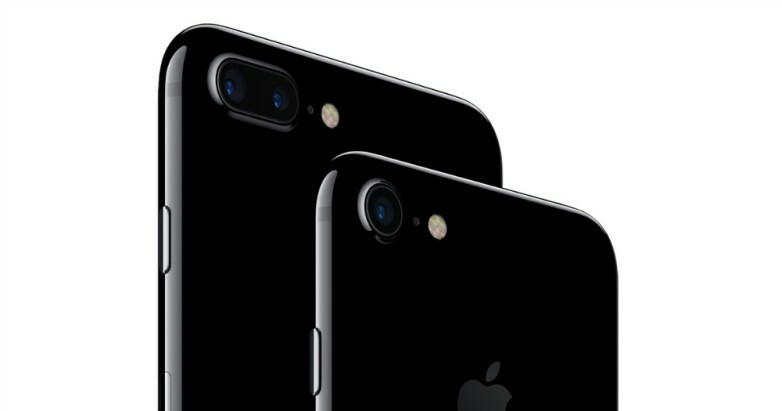 For example, the lense found inside any smartphone is micromolded. 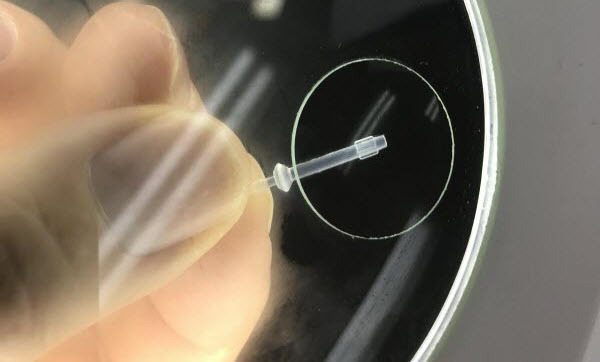 It is held into place by a tiny plastic O-ring, which is also micromolded. Cyrus Technology also manufactures another important smartphone part, the mesh cover over the speaker. To compare the size of this component, think of the tiny tip of a pen. Our micromolding facilities in Singapore produces large quantities of this mesh cover daily.